The regulation is the latest example of the federal Environmental Protection Agency’s use of the Clean Air Act to crack down on the pollution wafting from factories, power plants and tailpipes. 1. I’m sorry, but the TCEQ and the industries that it coddles have no credibility on this. Neither the public interest nor objective fact are the TCEQ’s concern. It may be that the EPA is being too aggressive in combating ozone, and it may be that the likely benefit of doing so is not worth what the cost will be. I’m not qualified to evaluate that. 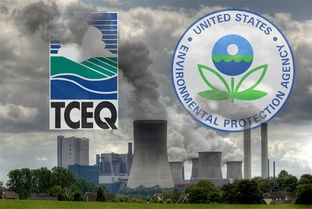 What I do know is that no one should take the TCEQ’s word for it. 2. Whichever standard is adopted – the more-lenient 65 to 70 parts per billion standard, or the stricter 60 parts per billion standard – achieving it is not going to be easy. For Houston, once the nation’s smog capital, the announcement heralded a harsh reality: even after decades of efforts to scrub the lung-damaging pollutant from the sky, the city’s air is not clean enough to breathe safely and might never be. For Houston to reach the proposed mark, air-quality experts said the state might need to impose tougher emissions limits for industrial permits and do more to replace older and dirtier diesel engines for trucks and cranes at the Port of Houston. The proposed limit poses a daunting challenge for Houston, which is violating the current standard even as its best year for air quality draws to a close. The region is on track to finish 2014 at 80 parts per billion. “To be effective, and meet this new standard, it will take great cost and effort to reduce emissions from every individual and business in the region,” said Craig Beskid, executive director of the East Harris County Manufacturers Association. Even environmentalists questioned whether Houston can hit the proposed target. But they said the tougher rule is worthwhile because it would reduce ozone-forming pollution blowing into the region. The EPA estimates that on the region’s smoggiest days, 40 percent of its ozone forms naturally or blows in from faraway sources. I’ve made this point before, but it’s worth repeating that there’s already a cost for the level of pollution that we have now. It’s just that the polluters themselves don’t bear the brunt of that cost – it gets passed on to the public, in a very uneven and unequal fashion. If the EPA’s regulations force the pollution producers to bear those costs, whether they pass them along or not that will be a more equitable situation. And it should be noted that in this case, the polluters includes everyone who drives. We are highly unlikely to meet any new standard without addressing vehicular emissions. That’s going to require some significant changes, and I don’t think we’re ready for that. Ready or not, it’s coming. 3. Alas for Greg Abbott, these changes will not be implemented in time for him to be anything more than a cheerleader for another lawsuit. That will fall to Ken Paxton, assuming he hasn’t resigned in disgrace by the time a suit is ready to go. Not mentioned in that statistic above is Abbott’s won-lost record versus the EPA. I don’t have an exact figure, but I’m pretty sure he lost more than he won. I’d expect Paxton or whoever gets appointed to replace him to continue that tradition. The EDF has more.